Want a wider range of tone? Want to be more confident speaking? Want to be more comfortable hearing yourself? 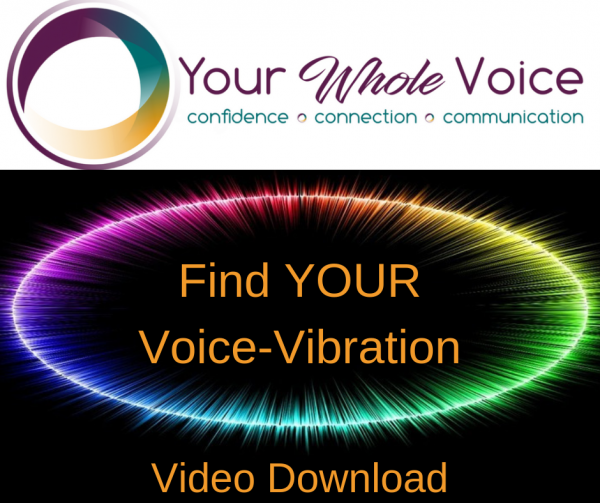 Start exploring and expanding your voice with this video, which is an introduction to some of how I work with voice vibration as a tool for vocal confidence, sound healing and meditation. Practice daily to start feeling more comfortable with, connected to, and confident in, your voice. Expand your range, strengthen your support, and increase your awareness of where your voice is coming from so that you can be heard more clearly, speak with more confidence and with less strain on your voice so it doesn’t tire as quickly. An introduction to the core elements of my voice work. Explore & expand your voice with simple, easy to implement exercises. In just 3-5 minutes a day, enhance your tone, projection & support for your voice, so that you have more awareness of where your body and breath affect your voice and become more comfortable and confident when speaking to others.